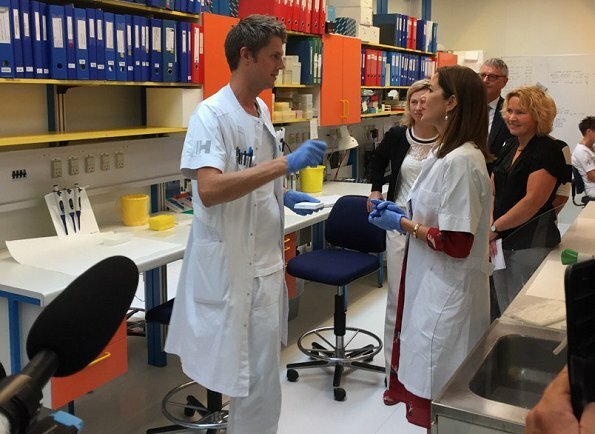 On August 18, 2017, Crown Princess Mary of Denmark attended the opening of the National Center for Immune Therapy (CCIT) at Herlev Hospital of Copenhagen University in Herlev. 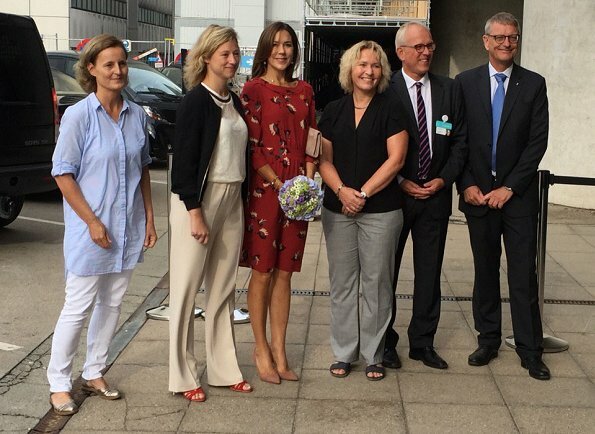 Crown Princess Mary visited the hospital and departments. 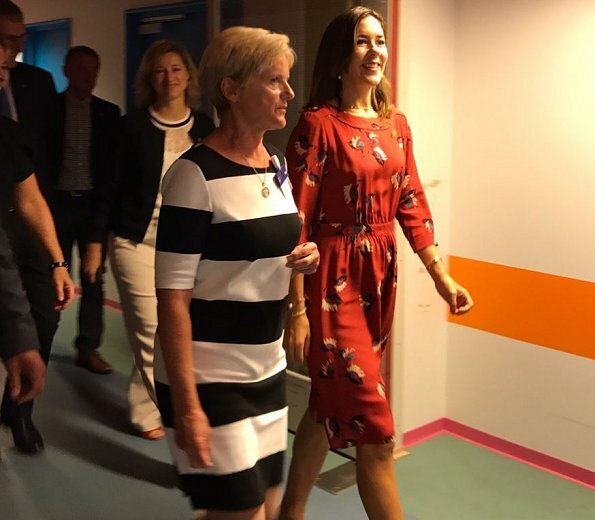 Crown Princess wore a red dress from 'Peper' collection of ba&sh. She is doing great job. Dress is OK.
She looks really pretty. 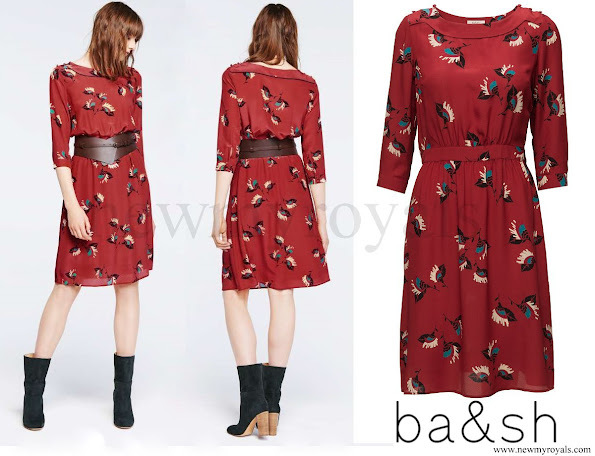 This is a great dress; classic styling but the fabric gives it a little stylishness. Also a good color on her. Love it! Lovely dress but needs a belt to define the waist. Loving these shoes. Dress is simply but very interesting with print.It is fantastic for her silhouette. 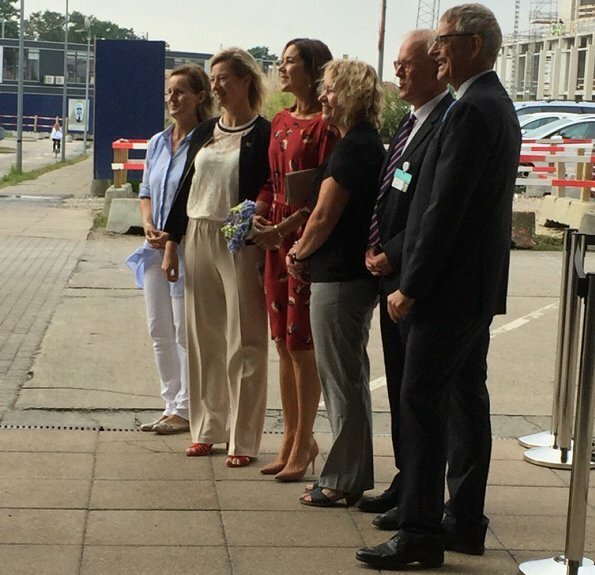 Nice dress - glad she didn't copy the model in wearing mid calf boots.